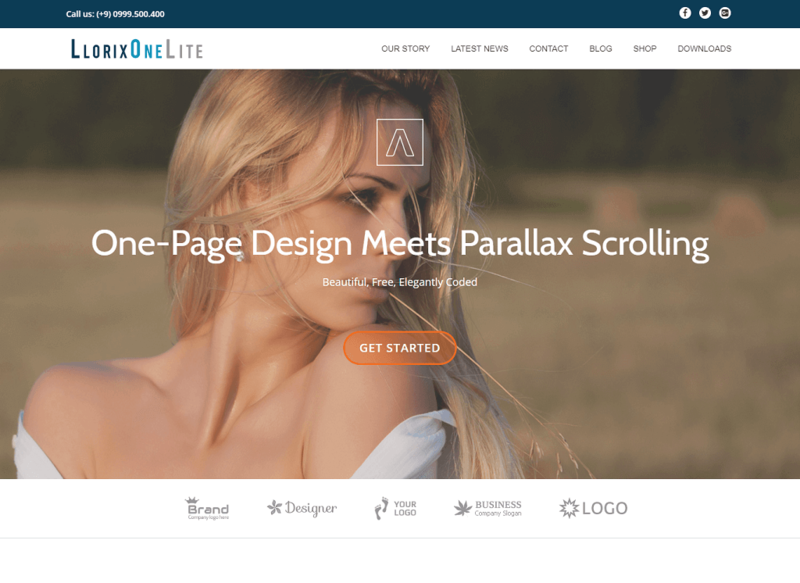 Llorix One Lite is a free and beautiful one page business WordPress theme, which is responsive and looks amazing in all kind of devices from desktop to mobile. Llorix One Lite theme comes with a flat and clean bootstrap based design and an elegant parallax effect. This theme provides you simple,minimal and modern look that can be used for any type of personal businesses or startup mobile app. Llorix One Lite theme has amazing functionalities its landing page has a fullscreen hero image and blue & orange appearance with buttons and icons promoting simplicity and elegance at their best. Llorix One Lite has multiple features like responsive blog section, eCommerce ready (WooCommerce store compatible), WPML, bbPress, Photo Gallery Grid,Contact Form 7,Meta Slider, SiteOrigin Page Builder, JetPack compatible and SEO friendly. So if you want create website on business / startup shop, agency, corporate website, or photography portfolio and any type of website then you can use Llorix One Lite theme.